For years, a movie-fiend friend made annual trips to California for what I thought was an odd arts event: San Francisco Silent Film Festival. He sung its praises and in 2016, I finally joined him. That year, I witnessed silent dramas from Japan, Sweden, Germany, France and the USA. I loved E.A. Dupont's high flying camera angles in Varieté, a circus story starring Emil Jannings (The Blue Angel). I imagined my big city wife as Pola Negri, a sophisticate who finds herself trapped in a small town trying to survive among the rubes in A Woman of the World. There was so much more too, including Nanook of the North, Beggars of Life, Battle of the Century and The Strongest. 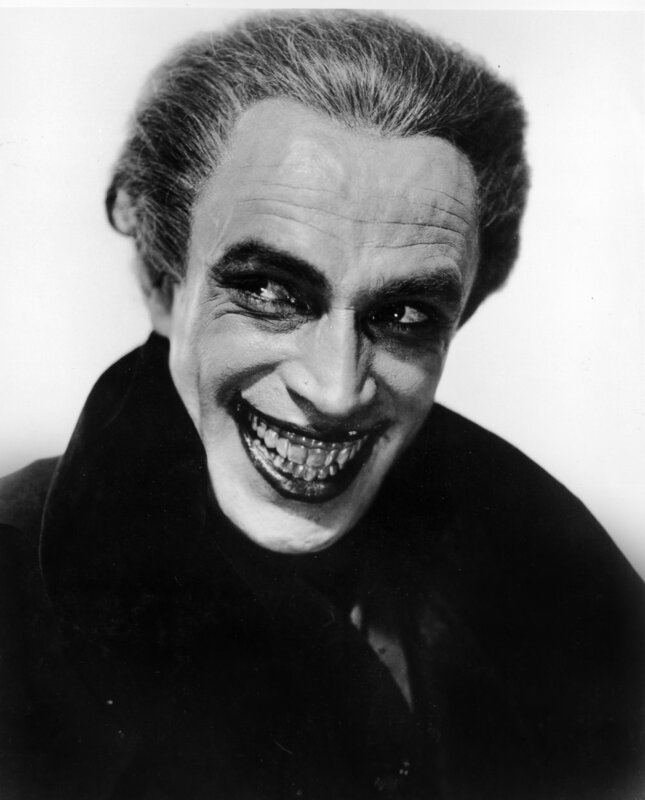 Later this month, I return for The Man Who Laughs, a 1928 adaptation of Victor Hugo's novel about a guy whose facial reconstruction surgery didn't turn out quite right. The Man Who Laughs (1928), directed by Paul Leni. Among the 22 films screening in 2018 (all with live musical accompaniment) are movies from more than half a dozen nations, including two from Japan. Policeman (1933) is one of only a handful of films to survive Japan's plunge into World War II. The festival describes it as a "stylish crime drama melding the fast pace of Hollywood with the fluid, evocative camerawork of the Germans." Also on tap from Japan: An Inn In Tokyo (1935), directed by the masterful Yasujiro Ozu. In that 80-minute movie, a father "wanders the industrial outskirts of Tokyo looking for work with two young boys in tow." An Inn In Tokyo (1935), directed by Yasujiro Ozu. The festival also includes comedies like Battling Butler (1926), a newly restored Buster Keaton movie with appearances by Snitz Edwards, Sally O'Neil and Walter James. Battling Butler (1926), directed by Buster Keaton. The 2018 San Francisco Silent Film Festival is scheduled for May 30 - June 3 at the Castro Theatre.